Let's help your league of superheroes fly even higher. Looking for a fresh perspective on UX? Want to inspire healthy behavior change? Markets & technology keep changing, but people are always at the core. Robust, successful innovation is about understanding human nature. Our workshops distill the most powerful insights from acting, psychology, & human experience design to help you make love-worthy digital products. When crafting a (digital) product, empathy trains our intuition for better design decisions. In this workshop, we listen with emotion, practicing techniques from acting, mindfulness, & behavioral science to connect with the people whom we seek to empower. How many apps do we forget after a week? 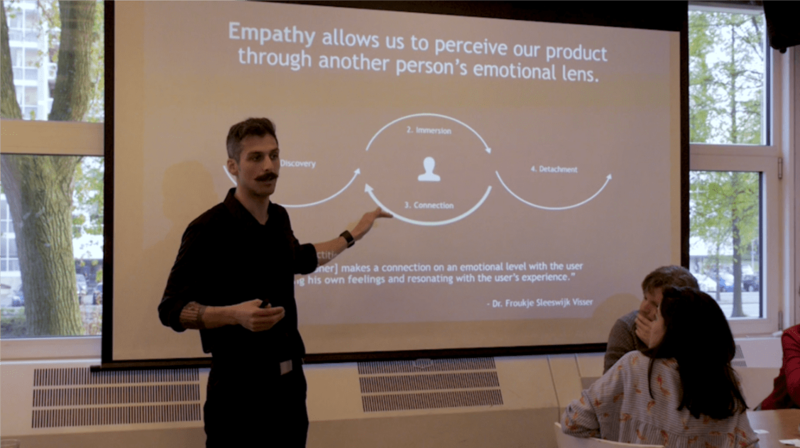 In this workshop, we design with emotion, empowering people to make meaningful change by helping them fall in love with your product or service. We'll start with the Love Story Canvas, combining science & art for compassionate persuasion. Whether you work in a squad, startup, or social enterprise, teamwork means pitching your ideas to other people. In this workshop, we speak with emotion, practice acting & storytelling techniques, and apply them to your unique story. Let's get your rocket ship off the ground! Hi, I'm Brian Pagán, UX Coach & Founder of The Greatness Studio. For over 16 years, I’ve designed everything from websites, to digital strategy, to award-winning IoT apps & blockchain services. And I've given workshops at companies & conferences in 9 countries. I bring my emotions to work - they're the key to our superpowers. No! You won't be just listening to me talk: workshops are about doing exercises and getting things done. IS it really custom tailored? Absolutely yes! Every organization, event, and audience is different. Let's discuss your objectives & co-create the workshop your participants need. "Thank you for the interesting workshop. I liked your metaphorical way of presenting, it clearly shows a different perspective of design thinking. Also, I really liked the ‘imaginary table’ game, acting approach indeed has its way to make a meaningful point in a pure, basic way. Full support to you and The Greatness Studio, stay great!" “Brian helped our global Intelligence team to define its vision, manifesto, principles, transformation journey & enablers in a day and a half. Besides being responsible for the brilliant agenda, he kept the team motivated, energized and really productive with stellar moderation. The team was very impressed with Brian and we are looking forward to extend our cooperation."